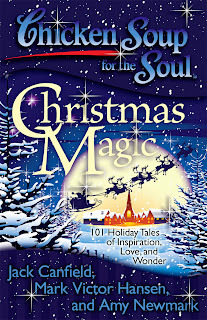 Christmas Magic is exactly what this book is. There is nothing like some heartfelt stories to remind you what Christmas is about. This book like all other Chicken Soup for the Soul books I have read does not disappoint. The foreword in this book was written by the big man himself “Santa Claus”. He talks of his schedule, reindeer training and reminds you to remember those cookies. I very fun way to start off a book full of Christmas miracles. Christmas Magic is appropriate for young readers and listeners so maybe take a few minutes each day to read to your little one. Help them with the true meaning of Christmas. My schedule is busy and I don’t always have time to read books in the entirety without spending months but I do for the purpose of my review read as many passages as I can manage to really get an idea of the book. I’m lucky that Chicken Soup for the Soul is compromised of small stories. I have to mention that that touched my heart for personal reasons. It is titled Little Boxes, and is a story of a terminally ill mother that wants to go shopping. Not sure if their mother is up to it the kids decide to grant her wish and take her shopping two days before Christmas. It turns out she was looking for “little boxes”. Little boxes to put her precious and prized jewelry in to give to her children and grandchildren on what would be her final Christmas. The reason this strikes such a cord with me is having been through this with my stepfather I had to stop many times through a 2 page story to hold back my tears. I myself have received that little box with a gold locket from my stepfather on his final Christmas. These are stories that remind us that our loved ones are precious and Christmas is magically. Don’t fight or hold a grudge, enjoy the season and love your friends, family, and neighbors. 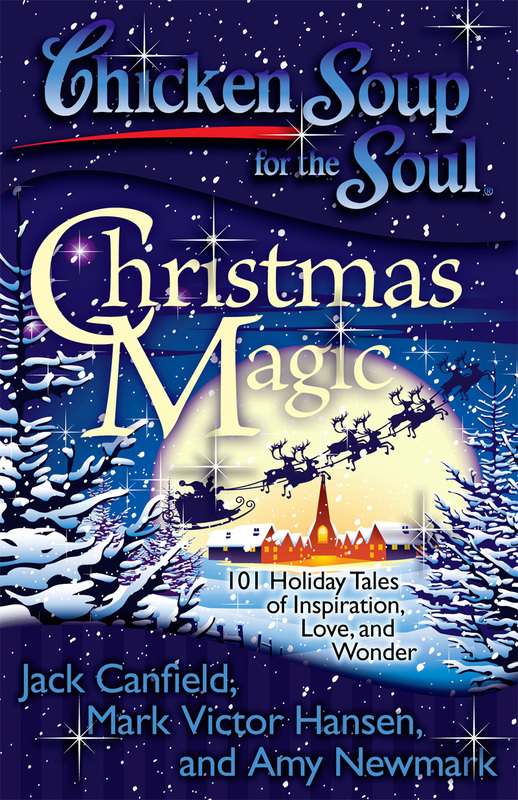 Chicken Soup for Soul is giving three lucky winners their own copy of Christmas Magic and one lucky winner will receive an audio book of Christmas Magic. To enter audio giveaway please enter here. To enter to win: Please tell me below if this book would be for you or a gift for a family member or friend. After you make the mandatory entry above, you will receive one entry for each item below (unless otherwise indicated). Just a reminder that the mandatory entry must be met for all other entries to be vaild. *1 Extra Entry if you “like” Chicken Soup for the Soul on Facebook. *1 Extra Entry if you share this post on facebook using the icons below. *1 Extra Entry (daily) if you tweet the following message. (please leave link to tweet). Giveaway will end on January 4th at 11:59 pm EST. Open to US and Canada Only. Please make sure your email address is public on your profile or leave in your comments so I can contact you should you win. The winner will be chosen by random.org and announced here as well as emailed and will have 48 hours to respond or a new winner will be chosen. Disclaimer: This is my honest opinion. I received the above product in this review for the purpose of reviewing and posting my opinion . 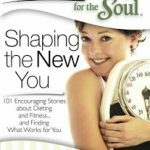 A big thank you to Chicken Soup for the Soul for providing an audio book and three soft cover books to four of my awesome readers. You may read more disclosure details here. If you have a product you would like me to review please contact me at colleen(at)shibleysmiles(dot)com. OMG this would be so wonderful! My mother is blind so she has to get all books on audio and I wasn't able to afford to get her anything for Christmas and her birthday is January 15th, so this would be a dream come true for me. I'm going to go through all the extra entry thingies above, I'm tired so it might take a while, but my twitter id is djpr2001. Thanks for the opportunity, I so hope for once in my life I'll get lucky and actually WIN something! I like to get a book each Christmas season for myself. I think this would be a great read after a day of Christmas preparations. I would love to win this soft cover book for myself. I just enjoy the whole Christmas season. I liked on facebook under Marjorie R.
The book would be for ME! This Book would be for myself. What a great xmas gift for my sister !!! "like" Chicken Soup for the Soul on Facebook. It would be a gift for a family member. I have a friend that loves to read CSS and loves Christmas as much as I do who would LOVE to read this one!! I tweeted about this great giveaway!! I would love to win the soft cover book for my mother who is an inspirationn to me. This would be for me. I love these books. This would be for myself.. I tend to get really worn out this time of year.. physically and mentally. Sometimes you forget what Christmas can do for the soul. This would be a gift for my cousin's family. I'd love the soft cover book for myself– I like to read "feel good" stories. It would be for me but I would share with my mother and probably a few other people…but only after I read it!! This gift would be for my friend! This book would be for me. I love Chicken Soup for the Soul books! I would keep this book for myself,but pass it along for others to read when I finish it. I like Chicken Soup on FB! This book would be for me and then I would pass it on to whoever wants to read it after I finish it. This would be placed on our family book shelf! I love the Chicken Soup for the Soul books so I would keep it for myself, but after I finished reading it, I would pass it on to my Mom who also loves to read. I would love to keep this for our house. The audiobook would be great to listen to on our holiday roadtrip or the book would be great to read during advent. This book would be for mee. I would give this book to my husband for his birthday. I would like to have this book for myself. It sounds wonderful! Follow Chicken Soup for the Soul on Twitter (@spelena). I liked Chicken Soup for the Soul on Facebook (Elena Shkinder-Gugel). I like you on Facebook (Elena Shkinder-Gugel). Follow Shibley Smiles on Twitter (@spelena). This book would be for me! 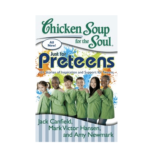 I LOVE Chicken Soup books! I just love Chicken Soup stuff, so I'd probably keep it (listen or read), then recycle by passing it on.